The Camp is situated in the center of the 300 acre Chickkanahally estate and is adjacent to the 50,000 acre Dubare Reserve Forest. The Camp is situated in the center of the Chickkanahally Estate, touching the Dubare Reserve Forest. 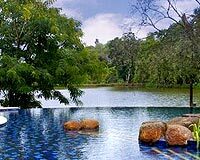 Major tourist attractions such as Kushalnagar, Madikeri, Dubare Elephant Camp and Valnoor Fishing Camp are located near the resort. 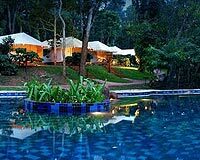 Spice tour and trekking, special camp activities like guided cycling to the tribal village inside the forest and poolside bonfire in the evenings are available. 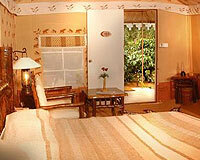 The Camp offers its guests an opportunity to get close to the nature without compromising on the comfort. 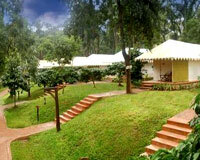 It offers 10 air-conditioned luxury tents. The tents, with air-conditioning and heating, are complete with rustic yet stylish interiors and wooden floored bathrooms with all the modern facility. 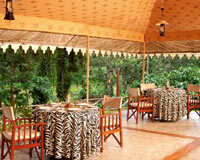 The Camp has one multi-cuisine restaurant serving Indian, Chinese and local delicacies.